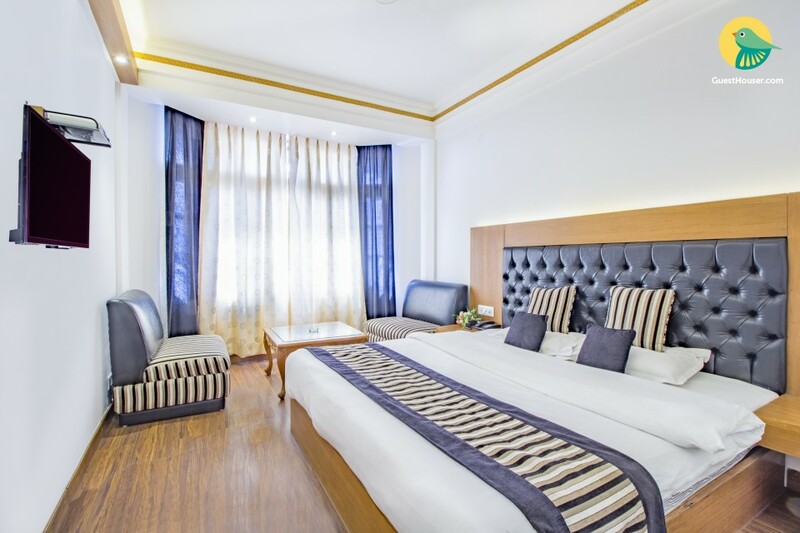 Located close to the Mall Road, this is an offering of a commodious private room in a boutique stay. The room on offer can accommodate up to three people and is ideal for reposeful vacation. Your Space The boutique stay has a spacious terrace where you can sit back and admire the pleasant weather. The dining area is well lit and furnished with ample dinettes to ensure mealtimes are convenient. 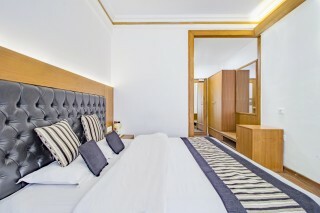 The room on offer flaunts laminated wooden flooring and is equipped with a plush double bed with a quilted headboard and bedside tables for convenience. Coffee seating, a compact wardrobe, a dresser, and a storage cabinet are also present for additional convenience. 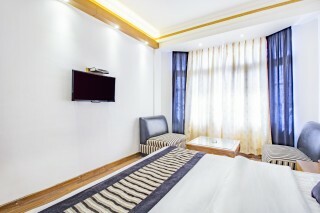 A TV is also present in the room for entertainment. The en suite bathroom is well appointed with western sanitary ware. Guest Access Feel free to spend leisurely time in the common areas when you are not in your room. Guests have access to the reception. Ample parking space is available. Guest Interaction Feel free to reach out to the staff present at the reception in case you need any assistance. Local help is provided on request. Neighbourhood Overview The property is located about 16 km from Kempty Falls. Company Garden is 4.1 km away, and Mall Road Market is a stone's throw away. The property has a scenic view of the Himalayas. Getting Around The nearest airport is Jolly Grant Airport, Dehradun, which is about 60 km away. The nearest railway station is Dehradun Railway Station, which is 21.5 km away. Picture Palace Bus Station is 140 m from the property. 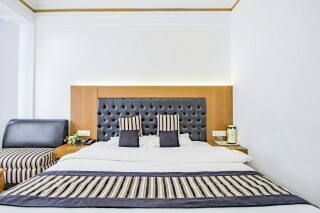 Guests can avail a pickup service from Dehradun Railway to the property, which costs INR 2400 for 4 people. Additional Information Guests are requested to provide valid ID proof at the time of check-in. We serve breakfast at a charge of INR 150 per person. Please ask us before you invite any visitors to the property. Visitors are not allowed to spend the night in the property. Lunch and dinner are provided on chargeable basis. The host does not lend his property to the citizens of Pakistan and Afghanistan. We regret any inconvenience this may cause.